Looking for something for all the family with all the heart-warming goodness of Christmas but want something a bit different to watching Frozen for the fifty-ninth time? 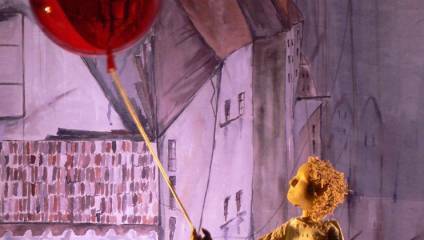 Camberwell community arts venue Longfield Hall presents The Red Balloon by String Theatre. Inspired by the classic fantasy film by Albert Lamorisse, it tells the story of a small boy's friendship with a balloon. Using long-string wood-carved marionettes, and accompanied by specially commissioned music, this spell-binding show transports both adults and children into the poignant world of the puppet characters. Tickets £9 adult / £5 concession / one child free with every adult ticket!